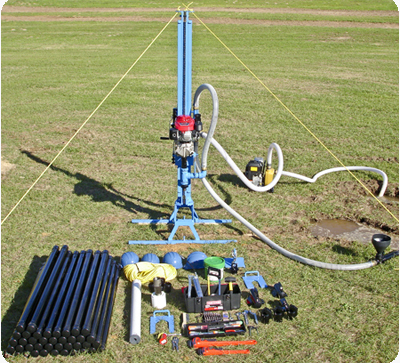 Featuring the same compact design and user-friendly operating features as the LS100, the LS200 Water Well Drill uses rugged M250 drill pipe to efficiently reach 200-foot depths. The LS200 is capable of drilling a 6-inch borehole to 200 feet in sandy and clay terrain and is easy to operate, tear down and transport for maximum productivity. 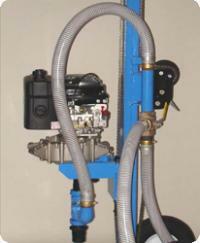 The entire drill package easily fits in a 91-by-36-by-30-inch crate for transporting to remote locations. 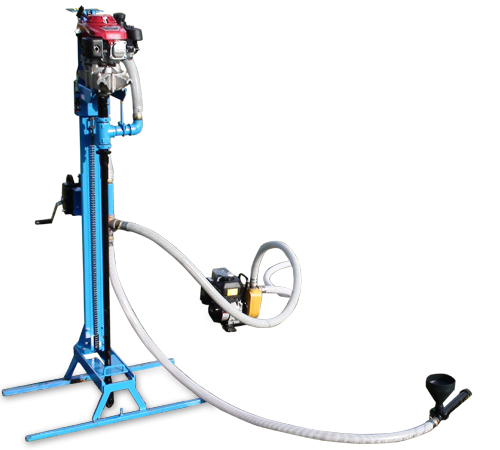 The well drill’s heavy-duty welded steel frame and 3,500-pound winch stand up to demanding drilling applications while its convenient swivel design allows for easy access to borehole.